Jon tried to compensate for his chronic illness, which left him tired and weak due to greatly reduced lung function, by being as physically active as possible throughout his life. He was hospitalized multiple times due to infections, which he was prone to because of his condition. Things took a turn for the worse in his early 30s, when he had to have the upper portion of his right lung removed after experiencing recurring infections. The first discussions about possibly needing a lung transplant occurred at that time, but it wouldn't be until almost 10 years later that his disease had progressed to the point where a double lung transplant was necessary to prolong his life. As Jon's disease continued to progress, he had to be hospitalized and treated with antibiotics and receive continuous oxygen on several occasions. He was evaluated for a possible lung transplant by medical centers in Tampa, Florida, and North Carolina, but was deemed a high-risk candidate due to a related heart issue, and he was denied placement on the transplant list. He eventually came to Mayo Clinic's Florida campus, where he was evaluated and listed for transplant in December 2009. "The last five years since my transplant have been the best years of my life," Jon says. "I've had great lung function and more energy than I've ever had before. In addition to playing tennis, basketball, swimming and water skiing, I'm training for my first half-marathon and maybe even an Ironman competition." 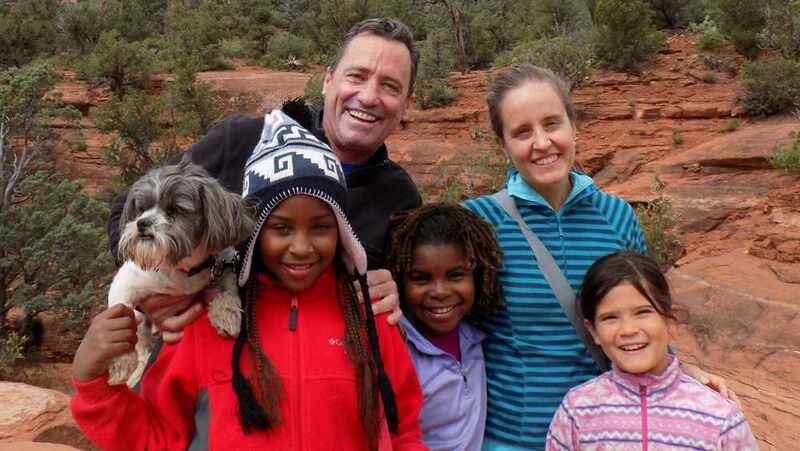 Jon, who is the father of three adopted children ranging in age from 8 to 11, credits his donor and his doctors at Mayo Clinic for enabling him to become an active father for his children. Before his transplant, he couldn't really hold his children or do any strenuous activities with them, but things have changed since his transplant. "I'm very grateful to the people who took care of me at Mayo Clinic, and even more thankful to my donor who gave me a second chance at living as normal a life as possible," he says. "I was recently able to meet my donor family and told them how much I truly appreciated the gift their loved one gave to me." Jon has some advice for others who suffer from cystic fibrosis and are considering being listed for a lung transplant. "Try not to be entirely focused on your disease on a daily basis. Go on and live your life as best as you can in the meantime," he says. "And when your lung transplant finally becomes available, embrace the opportunity … it will forever change your life for the better." That is so awesome! Mayo has a special unit of great doctors! So happy you have enjoyed five years with your family! Many more to you!